The latest in Apple's Powerbeats line, Powerbeats3 Wireless make no compromises in combining high quality audio with a slick seemless, wireless design, making them the ideal earphone for fitness fanatics and audiophiles alike. With a battery life lasting up to a staggering 12 hours, with up to an hour of playback from 5 minutes of charge, you can be sure to enjoy hours of crisp, clear audio throughout your day without the worry of constant charging. With their fresh, elegant aproach towards wireless earphones, apple have created a product that embodies future inovation. 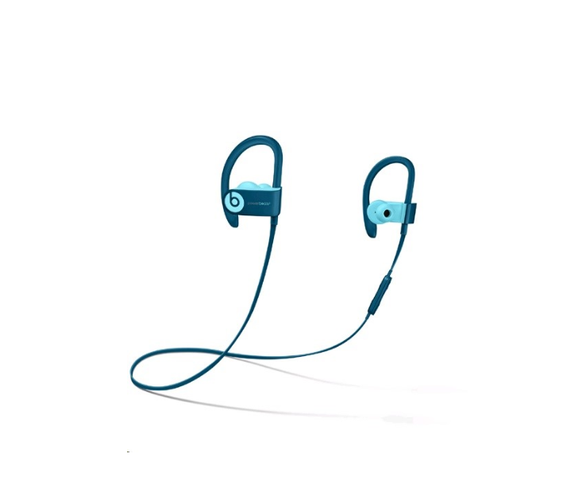 Lightweight, these earphones ensure a thoroughly enjoyable listening experienence throughout your daily life, whether that be during an intense exercise session or just kicking back and relaxing, their water and sweat resistance, paired with their ergonomic design ensure endless comfort throughout.